With a BA degree in American Studies, Bristol-based Dowdeswell’s work has always retained a strong sentiment of socio-political responsibility. From his early portraits inspired by images in Newsweek and The Economist to installations such as ‘The Beginnings of Life’ and ‘Corporate Dummy’ he views art both as a unceasing passion but also a medium which has the responsibility to document the crises of our time with the promise of making society a more convivial, positive, open environment. 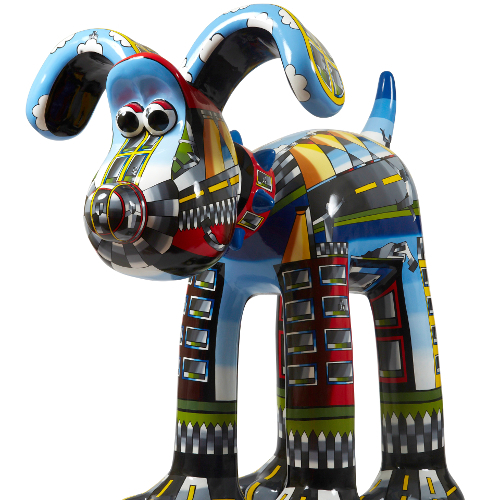 Since 2013 he has undertaken several large scale public art projects including Gromit Unleashed, Books About Town and The Year of the Bus, which have raised tens of thousands of pounds for charities such as Bristol Children’s Hospital, The National Literacy Trust and Transport for London and been viewed by millions of people on public art trails throughout the UK. 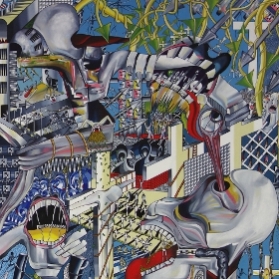 At London’s recent The Other Art Fair, Dowdeswell was touted as one of the top five artists while he was also recently shortlisted for the prestigious Bloom Award as well as featuring in exclusive publications in London, Brazil and throughout Europe. He has been working on several installations projects ‘The Spirit of Hermes’, ‘Our Addiction is Killing Us’, and ‘From the Hijab to the Hoodie’ which tackle a variety of issues from the celebration of flight, our debilitating reliance on fossil fuels, and our views on ethnicity, immigration and youth. Thomas has recently completed a new diptych titled Modern Hell. Influenced by Pieter Breughel, Hieronymous Bosch and Francis Bacon, this painting retains Dowdeswell’s interest in unfolding global events while working in a more painterly style. At the heart of the subject are skeletons, ghouls, big brother, babies of brutality which all represent the grim daily images we see on the news, in the headlines and in the streets. London Book Benches (The Guardian) – article 2013.